Cooking classes, are a great way to spend a morning, afternoon or evening. Get new found confidence cooking different styles of food and you’ll soon be cooking wonderful meals you’ve never been brave enough to try. You can enjoy fun-filled, informative cookery experiences in the inviting ambience of our Kitchen. Tantalize your taste buds with easy entertaining menus, followed by a sumptuous meal to sample the fruits of your labour. Guided by one of our qualified in-house gourmet chefs, learn to create your own taste sensations. Wow your friends and family with newly acquired gastronomic skills. A moms and tots class to interact with your little ones. 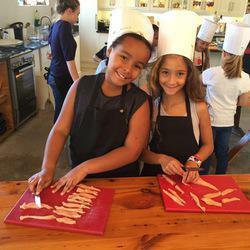 Girls and boys will participate in a hands on cooking class. 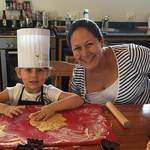 This fun filled class will teach children basic skills, safety in the kitchen, and allow them to use their imaginations to create delicious dishes. In our teens classes we teach basic and advanced cooking skills. Students will take their recipes home, and be able to recreate these menus at home to impress friends and family. A great course to show young men and women how to survive on a low budget but still enjoy tasty and healthy food. This comprehensive course is aimed at domestic workers. The course is a mix of hands on and demonstrations. A basic understanding of reading and writing the English language is required, as the course is conducted in English. The course will cover kitchen hygiene, correct storage and food preparation and presentation. 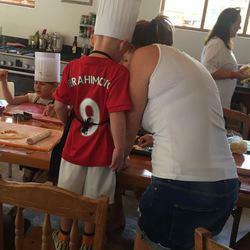 We aim to improve basic cooking skills, inspire imagination and boost culinary confidence. All recipes are yours to keep. Our team building events are a delight to participate in and are focussed on what you, the client wants, a fun filled morning or afternoon “bonding” session. The courses are hands on and customised to your requirements. The team building could be for celebrating rewards and achievements, for the top brass, for motivating personnel or just for fun. Call us to set up an exceptional team building experience that will be on all the participants’ tongues forever. These lessons feature a starter, main and dessert with additional recipes to complement the lesson. Cooking is easy when you know the basic fundamentals that will produce tasty food with creative presentation ideas. We take great care to create fun, informative classes to make you feel confident to be a super chef when you return home. The venue is also available to hire for, wine tastings, video and photo shoots, demonstrations, training, workshops and product launches.